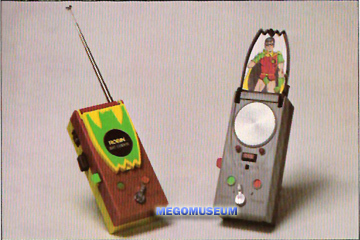 In 1977, Mego decided to spread the popularity of their already hot Star Trek electronics line into their staple WGSH line and what better subject matter than than the hero with all the gadgets? Batman and Robin got treated to three roll play items this year, each one of them clever redo's of Star Trek merchandise. 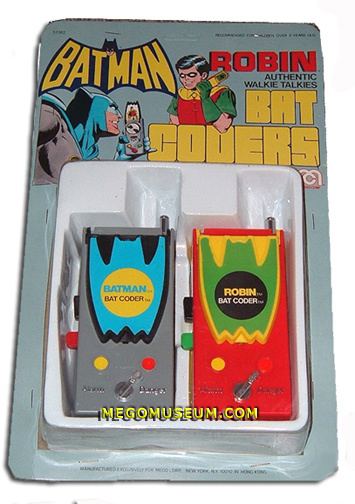 The Bat Coders were clever retoolings of the Star Trek communicators, Mego made the flip up top resemble the Batman's cape and utlized some beautiful artwork in the process. 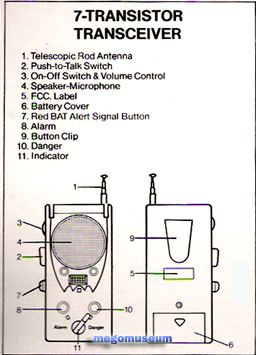 Batcoders were released on the same style card as the second release of the Star Trek Communicators.It's unknown if these saw a release in boxes. The header card depicts that Adams influenced 70's Batman look. I also feel he's the Mego Generation's Batman.. Check out the features! This is from the back of the card. 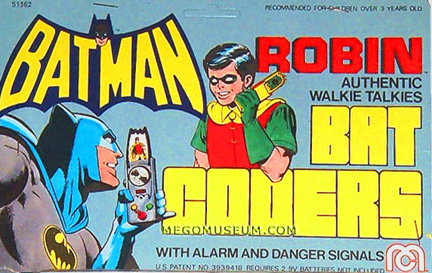 From the 1977 Mego Catalog, notice that Batman's coder shows Robin and Robin's show's Batman. It provides the illusion that you're talking to talking to one another, neat hunh? According to the Catalog "Batcoders put you in touch with adventure, mystery and Dynamic Duo action. "Robin can you read me? Biff! Wham! Pow!"" "Red Alert! Red Alert! Catwoman is approaching Gotham National Bank!" 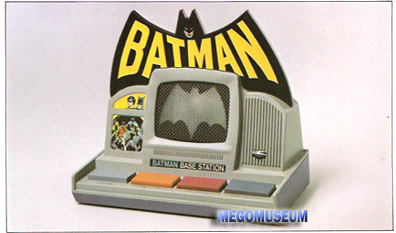 It's the Bat version of the Mego Trek Communications Console.